Warning! 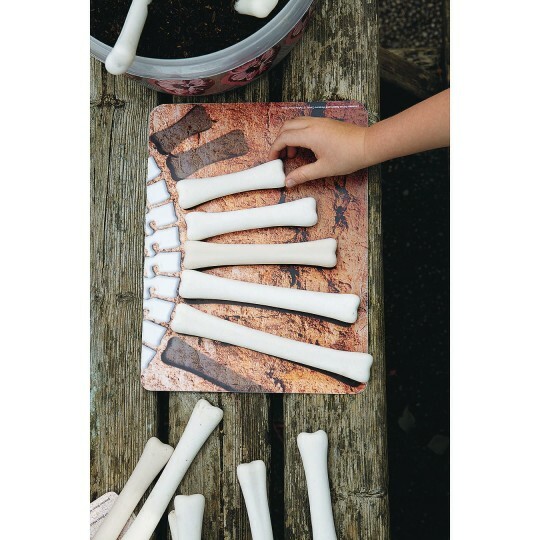 These dinosaur bones are guaranteed to cause a lot of excitement! Cast from a durable and unique mix, these bones are just waiting to be discovered. 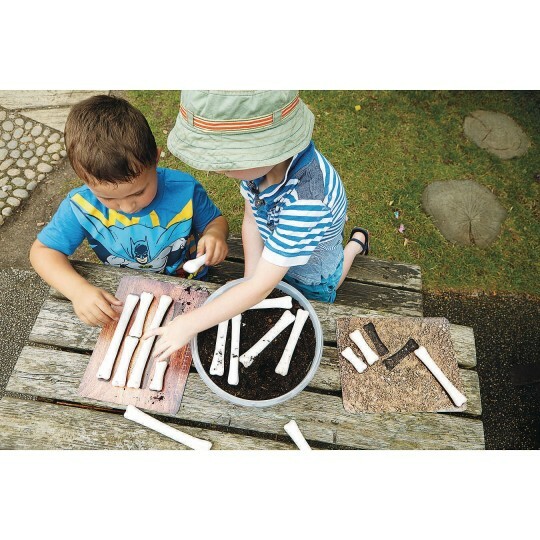 Bury them in sand, soil, or even water, and they will instantly appeal to children’s instincts to explore, investigate, sort, collect, and measure. Perfect for all those budding paleontologists! Includes 16 bones.